Growth form: Shrublet or small shrub. Flowering. Mar–May. Status: Native. Common. Also recorded: Bahrain, Kuwait, E Saudi Arabia, UAE. 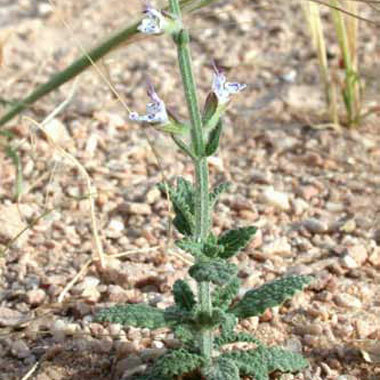 Habitat & distribution: Occasional in shallow silty or sandy soils, in rocky areas, also in depressions with coarse soils. Uses: The plant is used in the treatment of diarrhoea, gonorhoea, haemorhoids and eye diseases (Rizk & El-Ghazaly, Ghazanfar).